Custom Art is based in Poland and has been started by head-fi member piotrus-g (Piotr), who is an experience high-end in-ear monitor connoisseur and has decided to join the growing list of manufacturers. 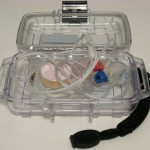 He decided to use silicone for the shells and has made a splash on head-fi in his start, which offers two single driver CIEMs as well as a dual and triple, and expanding to the first ever 8-driver in silicone CIEM, the Harmony 8. 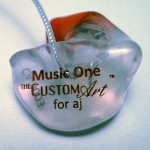 “Custom Art Music One is dedicated for all audiophiles and music enthusiasts looking for a bang for a buck. Thought behind the design: To challenge 2-way systems and other expensive IEMs with just a single driver combined with advanced acoustic tuning. Sound: Balanced across the spectrum. Deep yet not overwhelming bass resembling dynamic drivers. Clear vocals and detailed midrange. Extended and precise highs. Bright detailed and spacious in overall signature. Best for acoustic, pop, r&b, rap and electronic. 100% Custom Art house-sound. The description makes the Music One seem like a great buy and I am looking forward to reviewing it to see just how it stands up using my ears. The Custom Art order page has a form to fill out and print to send in with your impressions. Once the online form has been completed, just hit the submit button. Piotr will let you know when to pay. Options are available at the above link, and the calculator will let you know the cost. Custom Art also offers an ownership transfer program for 300PLN (~$110). When they receive the transferred product for a reshell, the drivers checked to make sure they are working properly and the process is underway. If there are any issues with the drivers, there will of course be an extra charge, and artwork/custom engraving is extra. 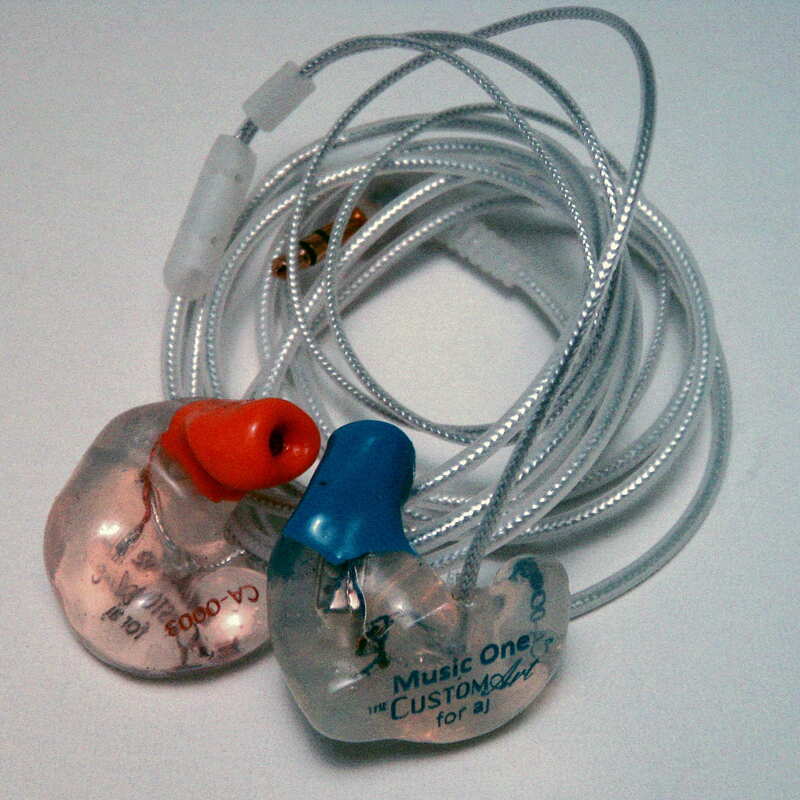 The Music One is a silicone shelled custom in-ear monitor with a single balanced armature driver and a permanent cable. 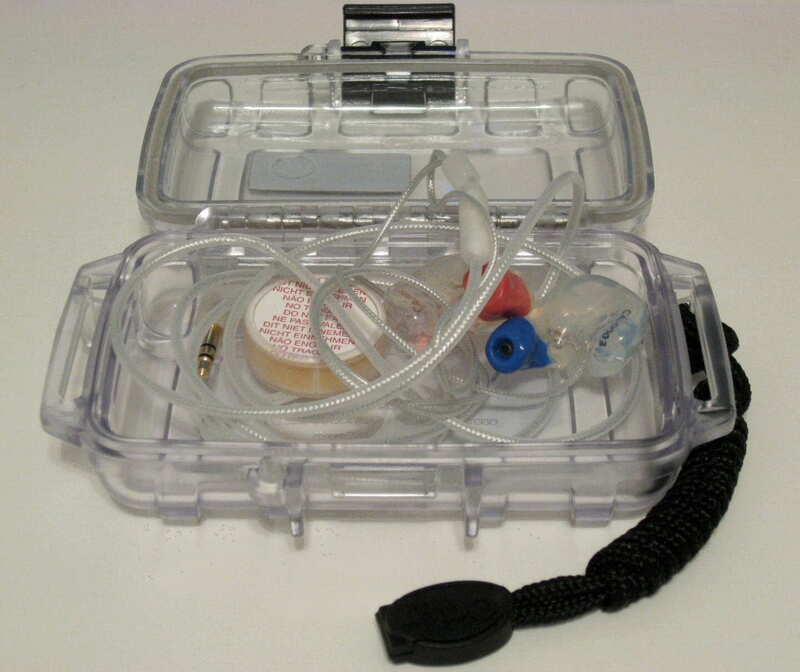 The silicone is a biomedical grade covered with skin-safe nano-silver particle lacquer for a bacteria free surface. 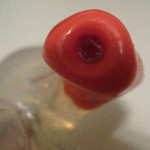 The driver is vented and uses a horn nozzle design. Isolation is about on part with acrylic shelled CIEMs, which I believe is due to a few reasons. The canals of my Music One are not the widest, yet they provide an excellent seal and are very comfortable, plus the concha portion (outer portion of the shell) isn’t as thick as my other CIEMs, which makes sense due to the single driver that is almost completely in the canal. Whether or not the vented nature of the driver has any impact is unknown, but could play a minor roll. I have talked with Piotr about the isolation, and he could make the canals thicker and add more material to the concha section, which would no doubt increase the isolation. It is good to know you can get more or less isolation, and if isolation is of utmost importance to you, it may be worth mentioning it to Piotr. Isolation is a 5/10. The Music One received 100+ hours of burn in as is customary before serious listening. The following custom IEMs were used for comparison: Etymotic ER4S, Alclair Reference, EarSonics SM64, ProGuard P2+1, Ambient Acoustics AM4 pro, and MEElectronics A161P. 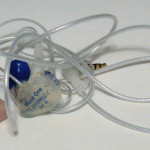 Bass: Being a single balanced armature driver, the bass isn’t expected to compete with dynamic driver earphones or multi-BA earphones, and it doesn’t. 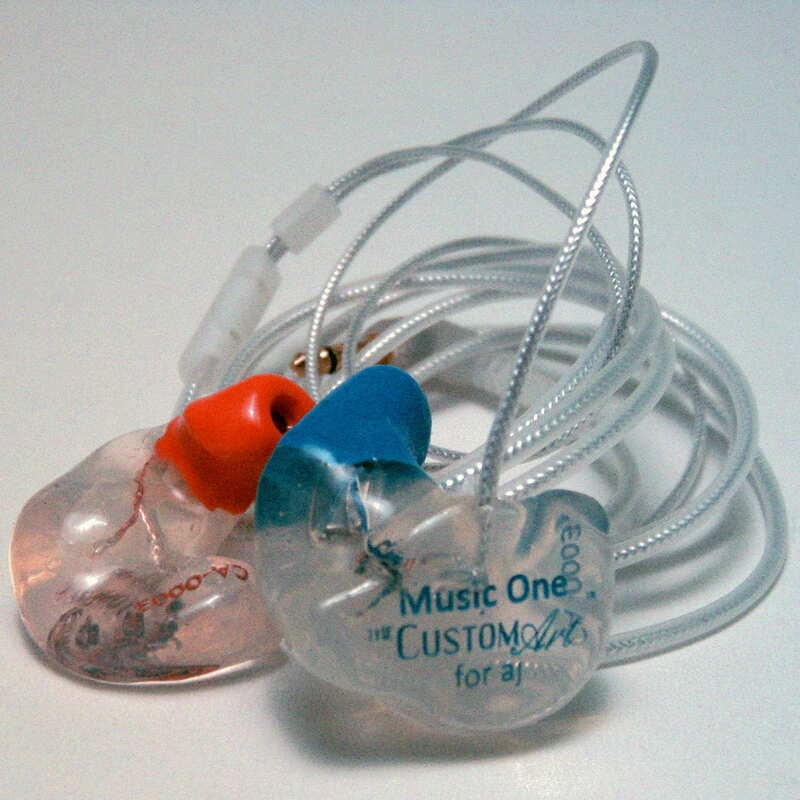 But, you do get quite good bass for a single BA driver CIEM, especially with an amp or high-end source. The bass gives a sense of depth and power, even if it ultimately falls short of providing that power compared with higher-cost products. Most single BA IEMs don’t recreate the sensation of bass, but the Music One still lets you know there is something going on in the bass region. The bass is warm and liquid, not possessing too much detail, but never leaving a sense of lack. There is plenty of bass for many tracks that aren’t necessarily bass heavy, recreating pounding, reverberant bass and something that is easy to adjust to. The Music One does extend all the way down, but the ability to recreate certain bass notes in the lower regions is limited, which can give the impression that the bass is rolled-off due to the limited reverb capability inherent with single BA driver designs. Given the price, the bass is very well done. Midrange: While I would say there is a very nice balance to the Music One, the midrange is the focus of the sound, and it has a nice blend between thickness and clarity. Comparing with the similarly priced ER4S, the Music One presents with more detail and yet also is more musical. The midrange is on the mid-forward side and the presentation space isn’t extremely large, at least unless the FSM-02 V2 amp is used, which really synergizes well with the Music One. Integration from top to bottom of the frequency spectrum is well done, and the overall midrange performance is excellent. Treble: There is an excellent balance between the treble and the rest of the spectrum as the Music One is brighter than the SM64, except in the upper-most registers, and not quite as bright as the ER4S. 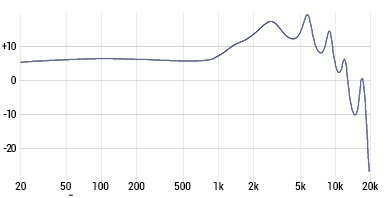 One of the characteristics that differentiates the Music One from many others in the price range is the note decay, which is very natural with good reverb as opposed to the typical analytical presentation. The treble is another strong point of the presentation. Presentation: Balanced and musical come to mind when listening to the Music One. The balance across the frequency spectrum and the coherence are both very good, excellent in fact, even though the presentation is a bit on the mid-forward side. This is due to the balance both above and below the midrange that allow the headphone to stand back and let the music take over. It does this without spectacular transparency, but excellent note decay and PRaT. While the soundstage presentation isn’t the largest, it is well proportioned and when paired with a synergistic amp, can impress. The weaknesses come with very fast music and/or complex tracks. While the Music One isn’t slow, it doesn’t have fantastic dynamics, impact, and speed compared with more expensive IEMs/CIEMs, but competes within the price range. Complex tracks can become a bit more simplistic that more expensive products, but they don’t really get congested. Still, given the price and positives, the Music One has a presentation that competes with the big boys from a musicality standpoint. Volume performance: The Music One performs well at all volume levels. At low volumes, the presentation is still musical as the midrange is the focus while at loud volumes with a good amp the bass doesn’t exceed its capabilities due to the sound signature and deep-bass roll off. The Custom Art Music One is a balanced yet mid-focused custom in-ear monitor that turns the recreation of sound into music and technically performs fine considering the single BA driver. Extension at both ends isn’t great, but works within the sound signature. Spatially, the Music One doesn’t have a large space, but the presentation depth and imaging are very good for a 3D experience. 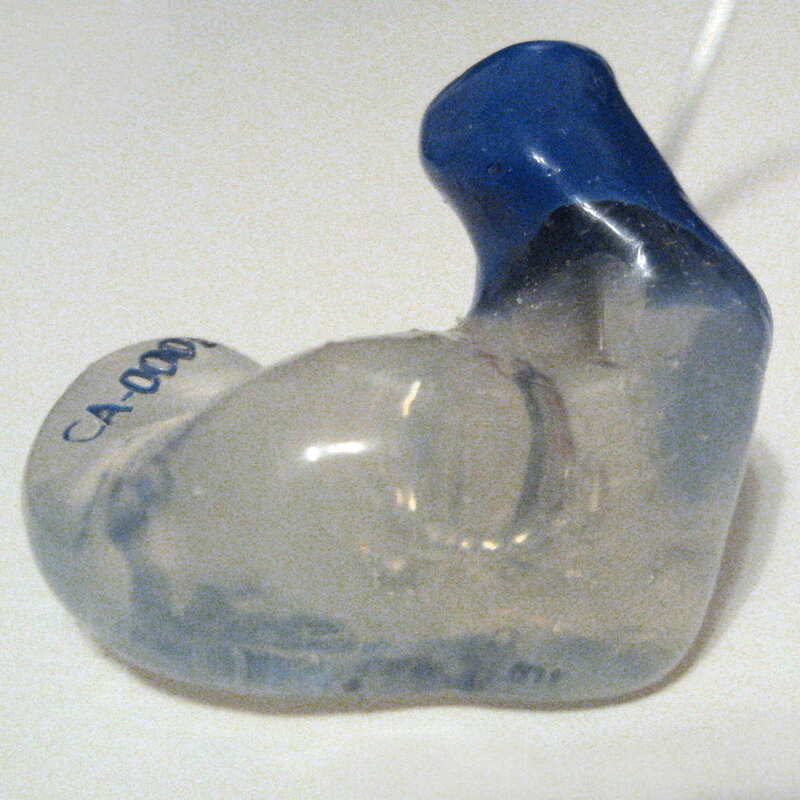 Transparency and coherence are both very good resulting in a CIEM that doesn’t just recreate music, but recreates the emotion and feeling within the music, even if on a smaller scale than much more expensive headphones. Thanks for your detailed reviews! I’ve been using a UE triple.fi and HD595 for a while and am looking to upgrade to something with good value and suitable for on-stage monitoring (bass guitar). 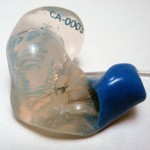 Comfort has always been an issue so thinking about going the CIEM route. Would this be a good recommendation? Hard to beat a silicone custom IEM for comfort, and this is the best one I’ve tried in its price range both for sound and value. Seems like a good choice in this case. I am looking for a new earphone on the go, but I don’t wish to spend too much, do you think I could get any better around this price range? I currently use a Bowers and Wilkins P2, but I can’t use that while biking/running. In my experience, CIEMs perform at a higher level than universals, so I would say performance is going to most likely be at the top of the performance chart, but joker may have a different perspective. 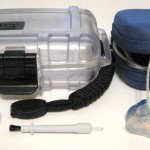 If you plan on biking/running, something like the Perfect Seal Sportbud Silver may be a better fit since it is designed for working out and uses a canal only style and is closer to the B&W sound. Hi, I am a bit curious. What would I gain in terms of comfort and SQ by choosing the M1 over something like the Vsonic vc1000. With the cost of creating a mold the cost of the M1 is about 3times higher. Is it worth it? I didn’t write this particular review but I do have both the Music One and the VC1000. If you want a lean, balanced, analytical-sounding earphone, the Music One is not really a sonic upgrade over the VC1000 (though it still has superior construction and noise isolation, less cable noise, and likely will be more comfortable). What the Music One does better than the VC1000 is note weight – it sounds thicker and more natural. It also delivers a warmer tonal character with less treble – the VC1000 can be a little bright. None of these are huge differences and it’s hard to put a dollar value on them – the Music One is a better overall package, but I don’t know if it’s 3x better. Thanks for the reply! I guess I will avoid the Music One then even though it’s tempting. Regarding the sound signature: I would most likely prefer the Music One given your description and the reviews that I’ve read on this site. I’m looking for something like my Hd600+Bottlehead Speedball sound signature in an IEM. Maybe the RHA MA750 would be better? I tried the Hifiman RE-400 and thought the were “ok” in their sound signature. The needed the “musical” factor you are talking about and I guess I missed the laidback sound of my desktop setup. Also, they had impressive SQ but were uncomfortable – too wide for my inner ear. No, the RHA MA750 will sound extremely bassy and too muffled in the midrange coming from a VC1000, which has fantastic clarity, or even from an HD600.